Ludic Writing is an offshoot of the Session Report series, which explores the intersection of narrative and broader themes of game design by focusing on a specific tabletop game each month. Part 3 and beyond will continue the story in weekly installments until the final case is closed or the transmissions cease. The best part of any mystery is when the pieces come together. You, by proxy via the avatar-detective, have followed the trail of clues, set one after the other like signposts along an overgrown path, each clue a relief, a promise that this is all leading somewhere, but also a cause for concern, for each post on the road through the dark wood only seems to baffle the true path, calling into question the signs and interpretations that came before it, until you begin to doubt that you’ll ever make it out of the woods, let alone home by dinner; you’ve left the true path hours ago; it seems impossible that man’s foot ever trod this trail, so choked with hoary roots and thorny weeds; and just when you’ve reached the moment of despair, you stumble into a clearing, and the strong light of day spills over you, illuminating the truth of things, and all of your confusion is swept away in an instant as you exclaim, “Ah, so that’s how it is!” Every piece fits perfectly, and all is explained. At least, that’s how most mysteries end, in particular since Agatha Christie solidified the tropes of the genre over the past century. But this understanding of “mystery” ignores the origins of the word, rooted as they are in the religious rites and observations of the Greco-Roman mystery cults. “Mystery,” if we follow the word’s history, means “unknowable.” But it also, at least in my mind, correlates with “coincidence,” those chains of connections in our lives that we ascribe to something more than random chance, charging them with significance. My discovery of horror writer Matthew M. Bartlett belongs to this class of coincidence. 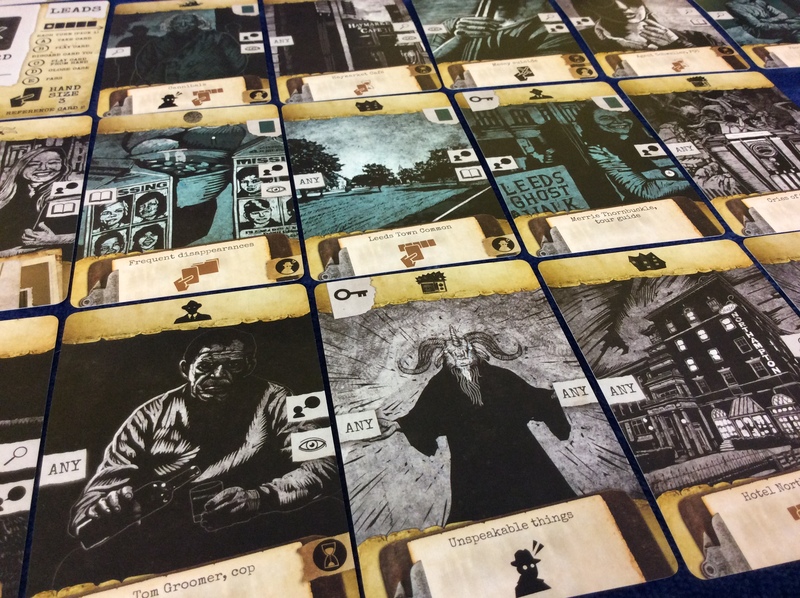 You can follow the trail of clues: I’d heard about Arkham Noir, a single-player card game with a horror mystery theme and stunning black-and-white artwork. But when I looked for Arkham Noir: Case #1—The Witch Cult Murders, I found it didn’t exist—not yet, anyway, and not in English. So what was this game that everyone (for a given inflection of “everyone,” i.e. a noticeable subset of people in my admittedly insular online community of single-player board gamers) was playing? As it turns out, Arkham Noir has a second Case #1, available in limited quantities only on Etsy from the shopfront of the designer and artist, Yves Tourigny. This was Arkham Noir: Collector Case #1—The Real Leeds. It’s a familiar mystery device: the identical valise, the duplicate will, the doppelganger. I wasn’t sure what Leeds had to do with Arkham, but I ordered it anyway, along with Collector Case #2—The King in Yellow, inspired by the books by Robert W. Chambers and Raymond Chandler. When I opened up The Real Leeds, I discovered just what Leeds to do with Arkham: nothing whatsoever. The characters—Benjamin Stockton, Will Dither, Anne Gare, Rangel Bantam, Eric the intermediary—were complete strangers to me. The idea of a corrupt/corrupting radio broadcast was one I knew from Tony Burgess’ excellent Pontypool Changes Everything, but WXXT seemed rather specific, a reference for which I had no reference. The reason rapidly became clear: While the forthcoming Case #1 from publisher Ludonova will be inspired by Lovecraft’s stories, The Real Leeds is based entirely on the fiction of Matthew M. Bartlett, a “new weird” writer with whom I wasn’t at the time familiar. (Bartlett claims Lovecraft as an inspiration, alongside Thomas Ligotti, Robert Aikman, J.D. Salinger, and Philip Larkin.) As I played, I realized that I really ought to become familiar, so I ordered two of Bartlett’s books, Gateways to Abomination and Creeping Waves. Part 2 will include a review those books. For now, let me describe the mechanics of Arkham Noir, which are roughly the same no matter which case you end up picking up. 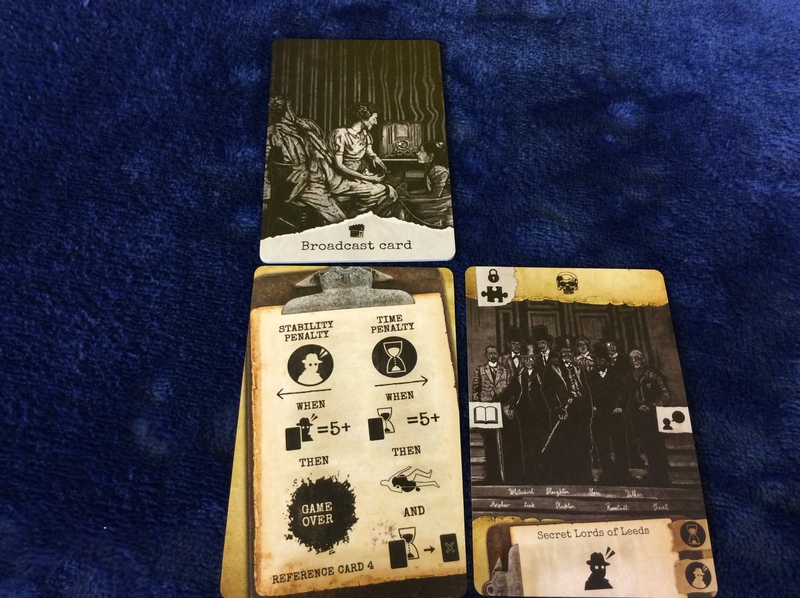 As mentioned previously, Arkham Noir is a card game for only one player. The primary mechanism is hand management—that is, maintaining a small hand of cards and strategically deciding when and where to play or discard them. While it’s considerably more complicated than traditional solitaire games like Klondike (alternatively known as Patience or, if you’re playing on a computer, simply Solitaire), the rules fit on a single two-sided sheet that also serves as a reference for the game’s iconography. 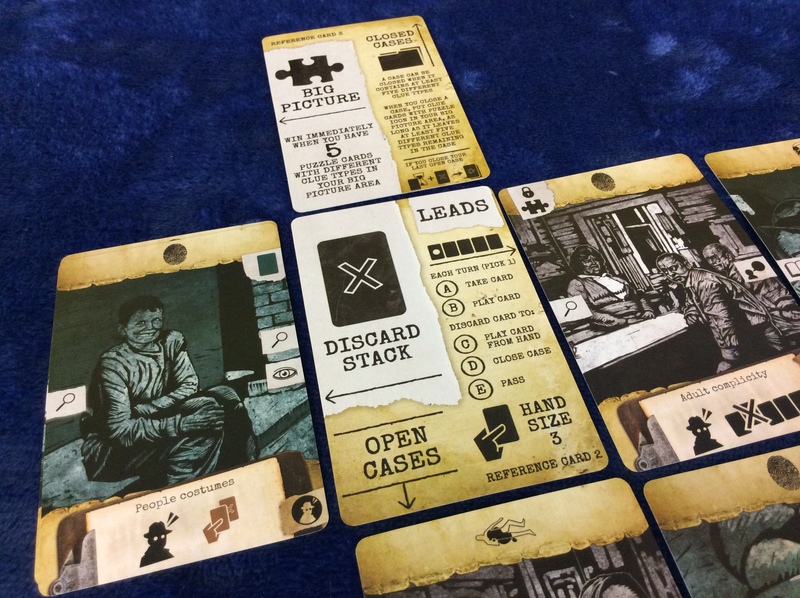 In Arkham Noir, the player takes the role of a private investigator who also happens to be a down-on-his-luck horror novelist. 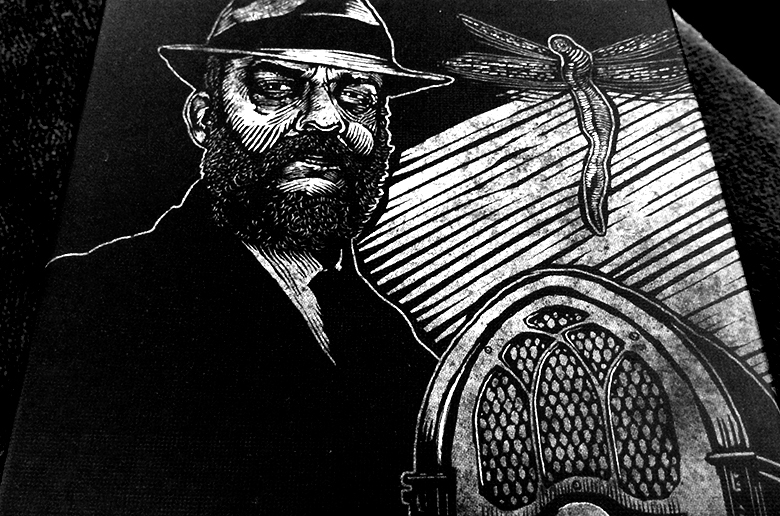 (In most versions, including The King in Yellow, the investigator is Howard Lovecraft; in this one, it’s Matthew Bartlett.) Your goal is to investigate and close a number of strange and unsettling cases, unveiling enough major clues to understand the Big Picture bridging the occurrences, before your sanity cracks or the final victim is claimed. In Arkham Noir, the cards themselves define the playing area. 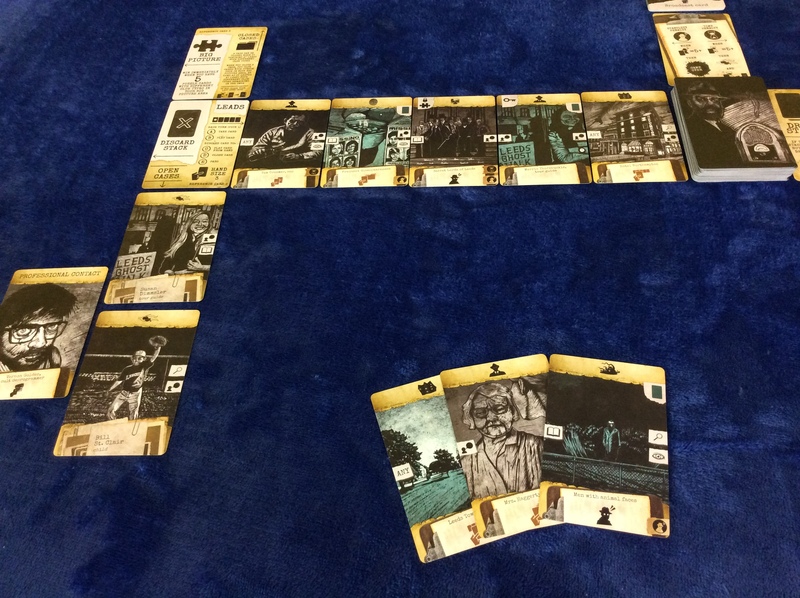 Arkham Noir makes clever use of reference cards to organize the play area so that no board is needed. Apart from these cards, there are only three basic card types: Victims, Clues, and one Professional Contact. The vast majority of these cards are Clues; Victims are, as indicated in the previous paragraph, a rare and precious commodity. Clues and Victims form separate shuffled decks, while the Professional Contact is kept apart from the other cards and can be removed from play at any time to activate either of its two single-use effects. Depending on the Case you are playing (the big C indicating a standalone boxed set of Arkham Noir, like The Witch Cult Murders or The King in Yellow), you might encounter additional card types or mechanics; for example, The Real Leeds also features a small deck of Broadcast cards and rules that bring them into play. Each open case (little c, indicating an investigation carried out within the game’s diegesis) begins with a Victim. There are two Victims in play when the game begins, but with the passage of time, death is all but inevitable, and more Victims will appear as the game progresses. Investigating a case means playing a Clue card, either from your hand or from a row of five Clues above the open cases called the “Leads Row,” onto an open case such that the symbol in the Clue’s left margin (which represents a style of investigation, such as research, witness interviews, evidence collection, and surveillance) matches one of the symbols on the previous card’s right margin. Cases thus unfold in rows of Clues from left to right, beginning with the Victim. Clues build upon one another abstractly, hinting at a deeper story. Apart from making sure the investigation symbol matches, there’s only one core rule restricting Clue placement: for every Clue with a lock symbol in its upper-left corner you play onto a case, the case must already contain at least one Clue with the key symbol. That’s important because, at least in The Real Leeds, these locked Clues are the only ones that contribute to the Big Picture. Figuring out the Big Picture is the only way to truly solve the mystery and win the game; thus, these locked Clues are the only ones that truly matter. Well, that’s not entirely accurate. In order to “score” a card to the Big Picture, you must first close the case into which it’s been played. And in order to close a case, that case must contain a minimum of five types of Clue. 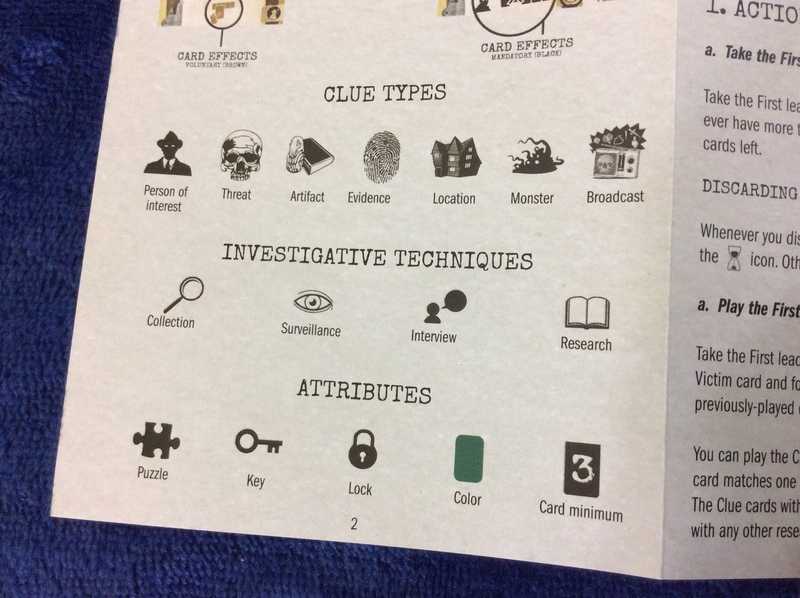 (The Clue types are represented by an icon in the card’s top margin, indicating a Person of Interest, Threat, Monster, Artifact, Evidence, Location, or the special seventh Clue type in The Real Leeds, Broadcast.) In order to “score” the Big Picture cards, the case must include five Clue types even after scoring, which really means you want to double up on the Clue type shown on the Big Picture card(s) or include a sixth or seventh variety of Clue. There are other benefits to closing a case with at least six Clue types, but you also want to be careful not to let the investigation run too long: for each Clue played onto a case after the seventh, your sanity takes a hit. Thus, while there are only two rules restricting which Clues can be played where, that isn’t the same as saying you should play Clues whenever and wherever you can. As in any noir investigation, you’ll want to tread carefully so as not to stir up the hornet’s nest. Caution and deliberation are particularly important because many Clues do something when played. There are two types of effect; sepia-toned icons are optional, whereas black icons are mandatory. Optional effects typically involve drawing cards from various sources, including the Leads Row, discard pile, or the Time and Mental Stability Penalty areas, into your hand, while mandatory effects often involve discarding cards or making a Stability check. Making a Stability check means revealing the top card of the Clue deck and adding it to the Stability Penalty area if it has the Stability icon in its lower right corner, or discarding it otherwise. If there are five cards in the Stability Penalty area at any time, your sanity snaps like a dry twig and you lose the game, so playing cards that force a Stability check or pushing investigations long is playing with fire. Meanwhile, discarding cards can be dangerous because any time you discard a Clue card for any reason (including “passing” a Stability check), if it has the hourglass icon in its lower right corner, it goes into the Time Penalty area. Whenever the Time Penalty fills up with five cards, a new Victim enters play, or, if there are no Victims left, you’re too late to stop the unspeakable events that have been set into motion, and you lose the game. Successfully managing the two penalty areas requires the mind of a true detective. In The Real Leeds, there is one additional effect you must keep in mind when playing Clues. 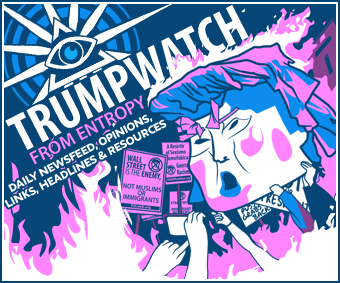 Some Clues are have the “color” attribute, indicated by a teal tint to the illustration and a small teal rectangle in the upper-right corner. When you play the third colored card to a case, it triggers a Broadcast, which means you draw and must play (if possible) the top Broadcast card to any open case. Some optional Clue effects can trigger additional Broadcasts. This is generally a good thing, since Broadcasts often have beneficial effects like key icons or wild investigation types, and—most importantly—they act as a seventh Clue type. As in the stories, tuning in to WXXT often leads to revelations…if your fragile mind can handle them. Only one mystery remains to be revealed: how Clues actually get played. Even though the Leads Row consists of five cards, only the leftmost Clue—the one that’s been visible the longest, also known as the “First Lead”—can actually be played. Every turn, the First Lead gets either played, discarded, or added to the player’s hand. Playing the Clue to an open case is the simplest action, assuming you can meet the two restrictions mentioned above and the Clue will contribute helpfully to the investigation without closing off future plays. Taking the card into hand is a good backup move, but you’ll have to discard down to three cards immediately afterward, which could mean promising Clues going into the Time Penalty. Finally, discarding the First Lead allows you to take a number of alternative actions, such as playing a card from hand, closing an open case, or simply passing the turn. While these are all critical actions, you’ll want to time them carefully so that you are not discarding a useful Clue or heedlessly speeding the passage of time. If you’re having trouble picturing how it all fits together, here’s an actual example of play. It is, in fact, the very first turns of the game that inspired the accompanying piece of ludic writing. You can follow along, too, using the above pictures. Of the five cards in the Leads Row, only the leftmost—the First Lead—is immediately relevant. That Clue is Tom Groomer, cop, a Person of Interest. There are two victims in play: Susan Dimmsler, tour guide; and Bill St. Clair, child. Normally, I’d have to match the investigation icon on Tom to one of the icons on the victims—Collection or Interview for Bill, Interview or Research for Susan. If Tom’s icon doesn’t match any of them, I always have the option to discard Tom to play a Clue from my hand (let’s call them rumors): Leeds Town Common, a Location; Mrs. Haggerty, teacher, another Person of Interest; and Men with animal faces, of the rare and dangerous Monster type. I could play any of the three, although Men with animal faces would force me to make a Stability check, but there’s no need; Tom Groomer’s investigation icon is the wild “ANY,” so I can easily play him to either victim. Besides, discarding Tom would have moved the Clue to the Time Penalty, since he has the hourglass icon, and that’s something I want to avoid. So I can play Tom to either case. But wait! I can see that the next Lead, Frequent disappearances, requires the Research investigation icon. Tom himself can chain with Interview and Surveillance, so if I play him to Susan’s case, I’m closing off the opportunity to play Frequent disappearances next turn. So Tom goes to Bill’s case. His ability (tan means optional) would allow me to draw a card from the discard pile, but since it’s empty at the start of the game, I skip that step. Since the penalty areas are still empty, all that happens at the end of the turn is that the four cards left in the Leads Row slide left and a new card is drawn to fill the newly vacated fifth slot. Thanks to my forward planning, the next turn—with Frequent disappearances as the First Lead—goes quickly. Turn three, the First Lead is Secret Lords of Leeds, which I can’t play for two reasons: it requires a Research investigation icon, which I no longer have; and more importantly, it’s got the lock icon—a Big Picture Clue—and I haven’t yet played a “key” Clue. I could add it to hand, discarding one of my Rumors, but I choose instead to discard the Secret Lords (adding it to the Time Penalty, since it has that hourglass symbol) and play Leeds Town Common from my hand to Susan Dimmsler. This sets me up to play Merrie Thornbuckle, tour guide (a”key” Clue!) to Susan from the Leads Row next turn, and since that will be the third colored Clue I’ve played to the case, I’ll get to—have to, in fact—draw and play a Broadcast, Unspeakable Things, which I add to Bill’s case mainly because it is a “key” Clue and Susan’s case has one of those already. Some cards are perfectly safe to discard. Others, not so much. Arkham Noir is a fantastic example of this type of complication. Despite evocative terminology—Leads, investigation, the Big Picture—the mapping is terrible. When the First Lead comes up, the player decides whether that Clue is significant, and to which crime. When I interview Merrie Thornbuckle, tour guide, I get to decide whether she gives me evidence pertaining to Tim McLellan or Clem Lestrange. This decision-making process feels less like being a character in a noir investigation and more like being an author of one. Yet, on another level, Arkham Noir’s sense of theme is strong. The player must forge connections between scraps of evidence, must try to piece clues together in a way that will move the investigation forward, not lead to a dead end. It’s cerebral in the way of mysteries. And, because this is a horror mystery theme, it’s also tense. The Stability Check mechanism, simple though it is, effectively imbues certain cards with a horror, a danger, a repulsive quality, and an inevitability—these cards must be played if one hopes to succeed, yet at the same time, they must not. All of this is aided by the atmospheric artwork that dominates the cards, allowing mechanical details like iconography to fade into the background. While playing Arkham Noir, I am so caught up in mechanical considerations that I tend to forget about the story being told. It is only when I close a case, when I pause to review the Clues that make up the complete investigation, that I am visited by a sense of narrative. However, when it does come, it is darkly evocative; the designer was smart enough to keep the card titles and illustrations suggestive and non-specific, and the near-complete lack of text helps, rather than hinders, this effect. Scanning over a completed case, I am invited to read the Clues and their connections symbolically rather than literally, and the lack of an enforced narrative reinforces the idea of a deeper truth lurking just beneath the surface of reality. Arkham Noir is, without a doubt, a thematic game. Call me Matthew Bartlett. That’s not my real name, of course; that’s protected, my anonymity guaranteed, all part of the deal I cut with the FCC. I grew up near Leeds, and even now I live in Northampton, of which Leeds is technically a subdivision, one of several outer villages at the municipality’s far-flung border. I heard of some of the strange things that occurred there—disappearances, reappearances, rituals, witch cults, unnatural appetites, unplanned exhumations, and unimaginable perversions carried out daily—but they always belonged, in my mind, to a different world, something Massachusetts parents told their children to keep them from wandering in the woods past dusk. Now, I’ve seen the depravities of the place firsthand, as well as things the legends couldn’t convey, horrors beyond the power of utterance. I’ve set some of them down in my books, altering the details just enough so that I could fool a polygraph by claiming they are fiction. But there is a core of truth to my stories, grounded in the strange visit I made to Leeds on behalf of the FCC. Today, I am going to share a bit more of that truth, or at least a different version of the lie. My cousin disappeared in Leeds in the early eighties. Just walked into the woods one day, few days before Halloween, never to return. Sweet baby Rangel. I was thinking of her, thinking of crunchy leaves and carved Jack o’Lantern faces, when I reached for the telephone. I was thinking that I needed to buy some candy before the trick-or-treaters came around, although they never do, not in my neighborhood, and I leave my porch light dark in any case. I answered the call inadvertently; the phone rang a millisecond before I lifted the receiver; I don’t normally accept unsolicited calls. As I brought it to my ear and read “Unknown Caller” on the dim, grey LED display, I strained irritably to remember the reason I had reached for the receiver in the first place. It couldn’t have been that important. The voice on the other end was arresting. 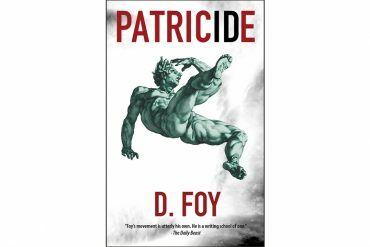 It was a man’s, deep and resonant, but smothered under layers of crackling static like a radio transmission at the periphery of its range, straining fingers of sound scraping feebly at the receiving antenna. Every once in a while, the signal resolved into piercing clarity, and in those moments, faint polka music seemed to swell beneath the man’s voice. He addressed me by my real name and introduced himself as Kenneth Cottons, an agent with the FCC. They were, he said, investigating a pirate radio station thought to be broadcast from an unknown location in the woods of Leeds. WXXT, frequency unknown, buried deep in the abyssal depths of the FM band. The station had been broadcasting obscene things, unmentionable things, nauseatingly realistic audio dramas using the names and voices of people who had recently gone missing. “I’m not sure what this has to do with me,” I confessed. “I’m a writer,” I said. “I don’t know the first thing about radio. And I’m not local. Not anymore.” I was living in Connecticut at the time. I was about to hang up when the voice said, cutting through the static with perfect clarity, “It might involve Rangel Bantam.” My body froze. “You knew her, didn’t you? Before her disappearance.” I couldn’t respond. “We look forward to reading your report,” the voice concluded, smug, and then a burst of static and a click and silence. I was halfway through packing my things, not even considering why I was doing it, when a thought struck me. “That’s odd,” I thought. “Shouldn’t there be a dial tone?” I returned to the landline and lifted the receiver to my ear. Dead air, the faint, windy echo chamber of an empty receiver. I traced the line to the wall and saw that it had been yanked loose. Since I was leaving town anyway, I didn’t bother plugging it back in. I had a strangely terrifying premonition that the moment I did, it would ring again, and I would be made to answer.